If you have been lucky enough to visit the Galapagos Islands and have managed to capture some of the Archipelago’s stunning natural beauty through the lens, why not enter our competition and see what the judges say! We are thrilled that this year’s competition will be judged by GCT President Monty Halls, and photographers Tui de Roy and Paul Sansome. 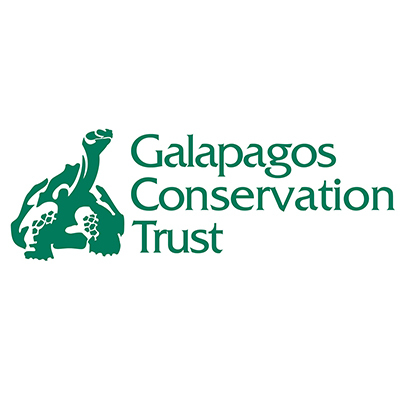 PRIZE DETAILS: The overall winner of the competition will receive: two tickets to our October Galapagos Day event in London, a year’s free membership to GCT, a signed copy of Henry Nicholls’ book The Galapagos: A Natural History, and the winning image will appear in the 2018 GCT calendar. The winner of each category in the competition will receive a copy of GCT’s 2018 calendar and the winning images, as well as the runner-up images for each category, will appear on GCT’s website. Not eligible to enter? - Find contest where you are. COPYRIGHT: Photographers retain the copyright of any entered photos. Your entry into this photography competition constitutes your agreement to grant the Galapagos Conservation Trust (a) a non-exclusive, worldwide, irrevocable, royalty-free license to reproduce, distribute, and publicly display the photographs you submit to the Galapagos Conservation Trust, for use in any Galapagos Conservation Trust publication or webpage related to the Photographic Competition, and to be used in Galapagos Conservation Trust promotions, including, but not limited to, advertising future photographic competitions, publications from GCT or other organisations, exhibitions, future marketing materials and campaigns, webpages, email bulletins; and (b) the right to use your name, occupation, city, state and country of residence in any publication. We will endeavour to ensure that your images are always duly credited but are unable to take responsibility should your name be omitted. USAGE RIGHTS: Your entry into this photography competition constitutes your agreement to grant the Galapagos Conservation Trust a non-exclusive, worldwide, irrevocable, royalty-free license to reproduce, distribute, and publicly display the photographs you submit to the Galapagos Conservation Trust, for use in any Galapagos Conservation Trust publication or webpage related to the Photographic Competition, and to be used in Galapagos Conservation Trust promotions, including, but not limited to, advertising future photographic competitions, publications from GCT or other organisations, exhibitions, future marketing materials and campaigns, webpages, email bulletins. We will endeavour to ensure that your images are always duly credited but are unable to take responsibility should your name be omitted.